Squash House Quilts: New Look and a Giveaway! Ta Da! What do you think of my new look? I thought it was about time my blog got a "new wardrobe". The design is by the very talented Karen Valentine of Valentine Design! Karen was easy to work with, reasonable, and just sort of "got me"! Do check out Karen's website when you have some time and also her beautiful blog here. I still have a bit of housekeeping to do, but the design is here to stay! To celebrate my makeover, let's have a giveaway! Just leave a comment telling me what you think of the new look for a chance to win one of two packages. The first package consists of a charm pack of Simply Color by V and Co. along with two pattern from my favorite designer - Loft Creations! Many of you know that I am one of Stephanie's Supreme Pattern Testers. Her patterns are fun, and easy to make! 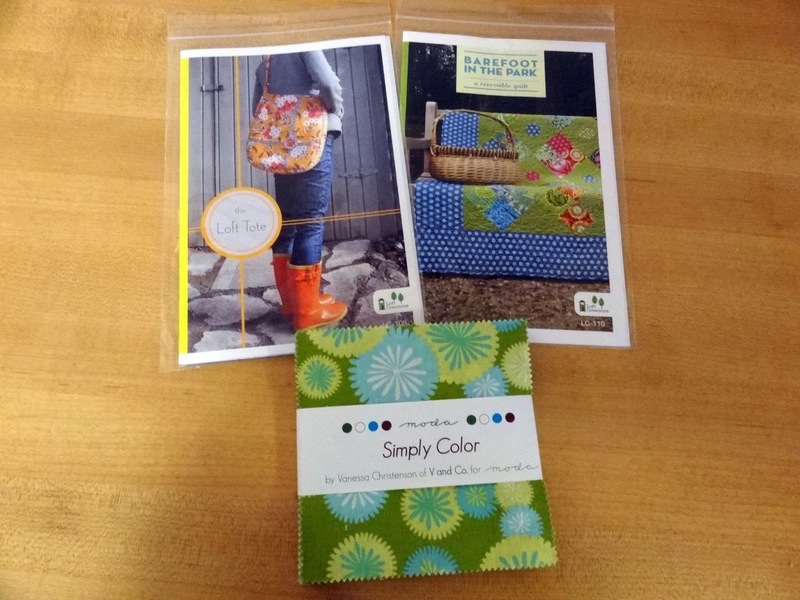 The second goodie package is a charm pack of Tula Pink's Salt Water and two more patterns by Loft Creations. Mr. Squash and I will choose two lucky winners on Friday, March 8th. This giveaway is open to both US and international commenters! So go ahead, be honest, tell me what you think of the new design! I like it!!! It's very clean and easy to read. But where's the flyrod???? Very Very nice! My brother did mine when I started, no idea how to change it! This is very nice, but like FFG said - the flyrod is missing! I also liked what you had, but I, too, like to change up things now and then. LOVE it, and the little touch such as the graphic that divides each post is a great touch. I'm going to check her out to help me, I'll let her know that I came over from your blog. I love your new look! I had Karen do mine a couple of years ago and she is really talented and very helpful! I love the new look of your blog. I need to get a makeover of my blog done....just need to find some time. I am definitely going to have to check it out with Karen and will let her know where I found out about her. I love your new design! I think the birds are just beautiful and "speak" of outdoors (I don't think a couple of fish would look as nice LOL) and they look just gorgeous next to your quilt! I think she did a great job!! I really like it! The fresh, spring green background with polka dots is cheery. I love, love, love the pumpkin at the center of your header and then the surroundings just show us who you are! I love your new look. So many of the things I like are included, besides quilting. I'm a bird watcher, a gardener and although I don't fly fish I do enjoy fishing with my husband. I do like the new look which is fresh and pretty. Your designer did indeed get you. She did a really nice job. I love it! So fresh and bright! I love the new look, so bright and cherry! Beautiful new look! Clean and easy to read. I love the vibrant color and fresh new look Candace. However, where is the fly fishing tutorial???? Candace, your new look is very classy...love the little quilt on your banner surrounded by the fun graphics. Your green border is perfect with it! Very nice new look. Love the birds. I like it, and I'm so glad you kept the squash quilt. I've always loved it. It looks fresh and welcoming. I love the pumpkin and flowers on the header and the graphic that separates the posting from the comment section. 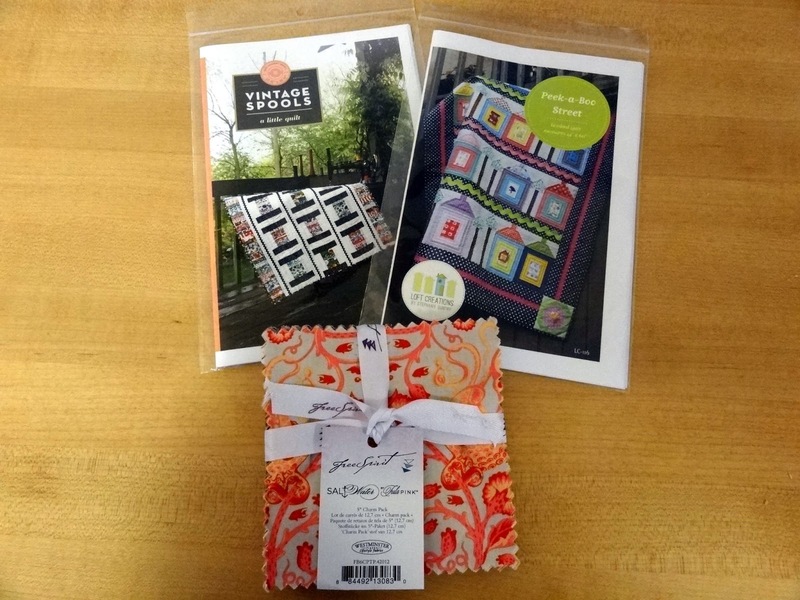 Congrats on the new and improved Squash House Quilts blog! I like your new header. But where is anything to do with fly fishing? Or is that a thing of the past? LOVE IT It is SO you ! Oh my I love your new design. I might have to check Karen out to revamp mine. It's gorgeous and I'm so thrilled for you, it's so fun to redo and get a fresh new look. Like getting new furniture or carpet or any home improvement. Congrats and hugs!! Wow! This is gorgeous! I really like it. I really like your new banner. Warm, inviting, happy. It nicely reflects your interests, too. Love the new look--------it's you. Lindão!! !De verdade estes pássaros que eu amo de paixão.Tá valendo.Obrigada por abrir internacional. I love your new look! Very crisp and clean, and the tabs work great! Looks awesome and always a pleasure to read. Very clean looking and easy to navigate-I like it. I like your new look!! I like it!! very clean and fresh look. Great!! I like the new look, the birds in the header and everything. The text is easier to read on a white background. Well done! I like it. Like others said, it's very clean and easy to read. It's P-E-R-F-E-C-T, Candace...a true representation of your life and lifestyle...sewing, gardening and nature. I love the new design, it is traditional, yet fresh. I love your new design. Very soft and pretty. I am going to check her out, as I am wanting an update myself. Thank you for the chance....wonderful giveaway prizes. I like the new look. It not only looks vintage but it brings some spring sunshine too with the birds. Love how your trademark pumpkin is still in the picture. Love the colors too. I love it. So colorful and pretty.Fits you very well from what I have seen on your blog. Oh, Candace this is stunning! Really, I am sitting here by myself while M is sleeping and I said out loud "Oh, my goodness!" I may have woke him up...love it! I love how open the blogging space is and it is not cluttered. I really like the green around the outside. LOve your new website! So bright and cheery! Must be spring. Being a "pumpkin" kind of girl - your header has always put a smile on my face. My Favorite part: The tabs that allow people to access different parts of your blog. For example: Tutorials, Recipes, Etc. I plan on doing this later this year when time permits. Girlfriend - you always put a smile on my face!! Hugs. Love the new look. Green is my favorite colour. I also enjoy reading your blog. Love if! Its so colorful and really a reflection of you and your interests. The new look is really nice. The different elements in the graphic all work well together. It's also easy to navigate. Very colorful and I love the pumpkin--I love everything pumpkin! And those wooden spools are a fun addition. Very nice Candace! Like the colors a lot. Also happy to see you kept a bit of your prior banner.. I love the new look. It is very fresh and uncluttered looking. Your new look is worth every cent! It's botanical, fresh and fun. I like the green in the design. Beautiful! I love your new look! It is fresh and cheerful..just like your great blog.